They told David it was impossible—that even the Reckoners had never killed a High Epic. Yet, Steelheart—invincible, immortal, unconquerable—is dead. And he died by David's hand. Babylon Restored, the old borough of Manhattan, has possibilities, though. Ruled by the mysterious High Epic, Regalia, David is sure Babylon Restored will lead him to what he needs to find. And while entering another city oppressed by a High Epic despot is a gamble, David's willing to risk it. Because killing Steelheart left a hole in David's heart. A hole where his thirst for vengeance once lived. Somehow, he filled that hole with another Epic—Firefight. And he's willing to go on a quest darker, and more dangerous even, than the fight against Steelheart to find her, and to get his answers. God, how I’d missed David’s crappy metaphors! 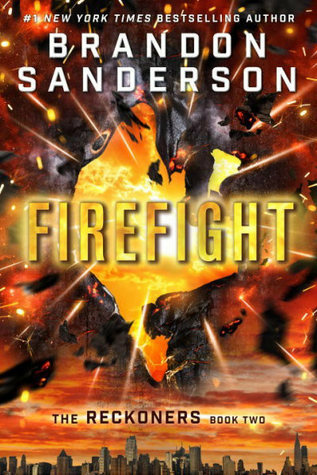 Firefight was the fun continuation to the wonderful Steelheart by Brandon Sanderson. It was so nice being back in this universe with its characters and humor, although I feel that Firefight suffered from the “second book” syndrome. The story picks up a few weeks after the end of Steelheart with the reckoners still in NewCago fighting Epics, and the people there trying to learn how to live their lives now that their former ruler is gone. When more and more Epics appear to challenge the Reckoners, and they all seem to have a connection with an Epic from Prof’s past they’ll head over to Babylon Restored and find this woman to figure out her plan. Now, this was a really good book. 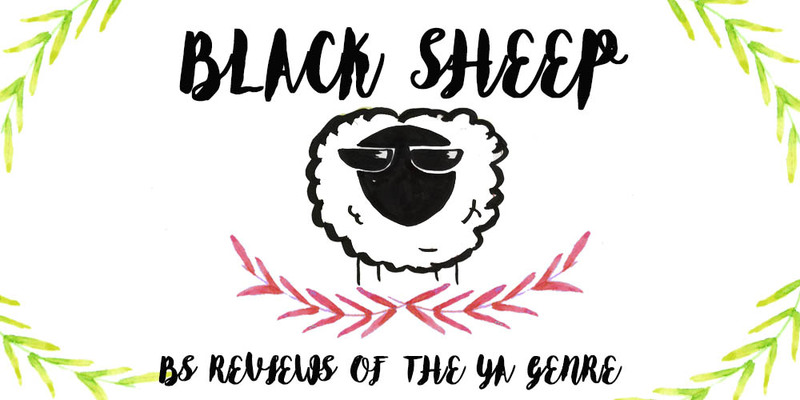 Really, it was fun, action-packed and full of twists and turns that kept you hooked. It just wasn’t what I was expecting for Steelheart’s sequel. The story dragged sometimes. There were new characters introduced who barely had any page time before they were gone. And Firefight was barely even relevant to the story. Which, in a way, makes sense. This is David’s story; him and his revenge against Steelheart, joining the Reckonings. Even his obsession crush on Megan. In the first book the title character was barely there. He was a presence, a sword hanging on their necks ready to fall at any minute. But Megan had been a part of the Reckoners. Hell! She was one of the most interesting characters in this universe and in Firefight she’s reduced to David’s point of view which is… not so great for her. We barely see her in the story, she’s constantly in David’s thoughts which I found a bit annoying (I mean, he barely knew her despite all the time they were part of the team. And she certainly didn’t like him, yet he kept going after her. It didn’t make sense that he was “in love” with her, or how he kept doing dumb stuff all the time for that “love”). I wanted more Firefight, you know? More on her history, her character. But we got only snippets here and there. The ending, however, was freaking awesome. We see that everything that happens is leading to something, but when it happens I just… man it was good! Overall, I really enjoyed Firefight but not much seemed to happen in it.